June is hosting our challenge today, and the theme is Here Comes Summer, appropriately themed given our hostess' name! As usual anything you care to enter is fine, a card, scrap layout, mixed media piece, some home decor, as long as it's Summer themed. 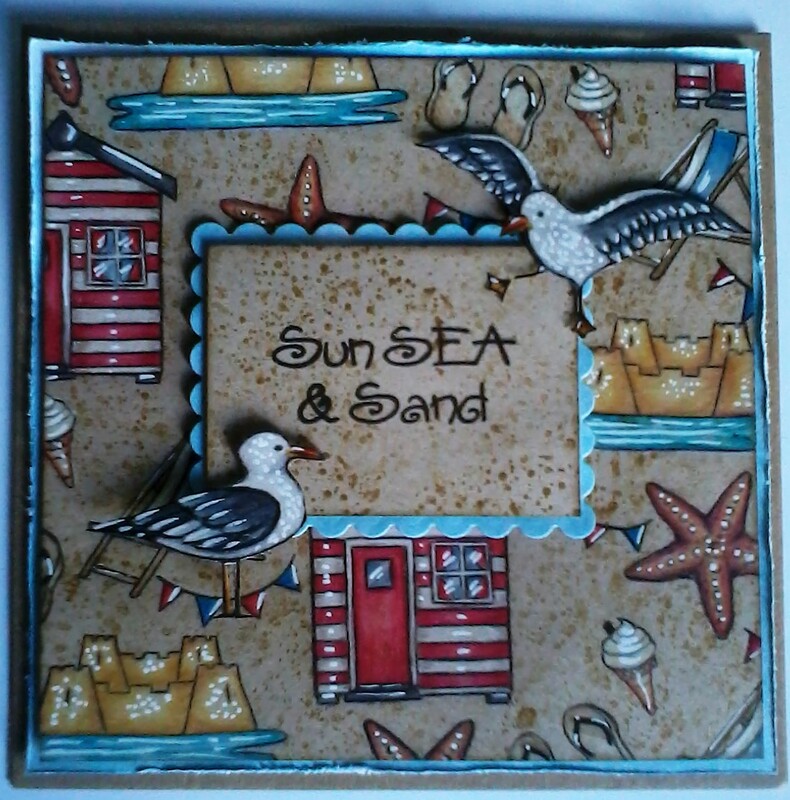 A card for one of my husband's brothers, and what says summer more than the seaside! I've used an image and paper from Pamela West, and completed with some matting and a computer-generated sentiment. What can I say? The men in our family don't do fussy! When I think of summer I think of a colourful garden full of flowers. 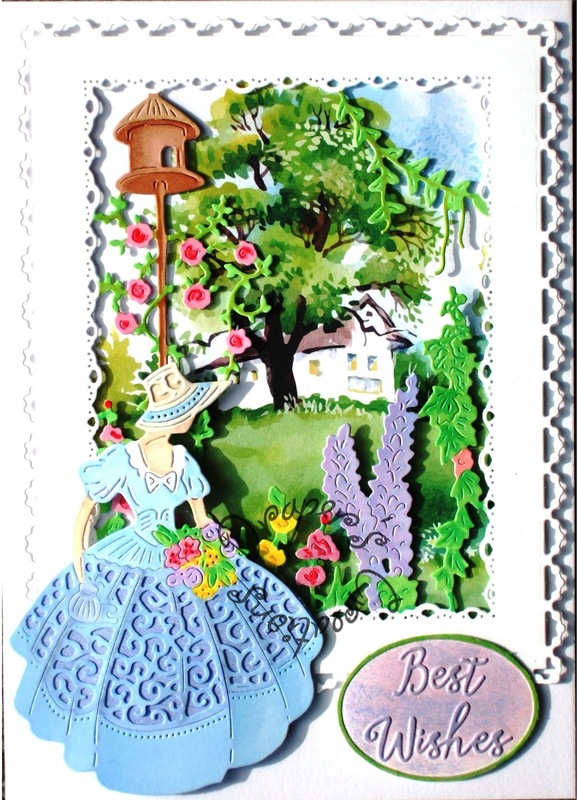 I have tried to conjure this up with the use of various Tattered Lace dies and Promarkers. When I think of summer I think about the beautiful colours of all of the flowers and the butterflies . 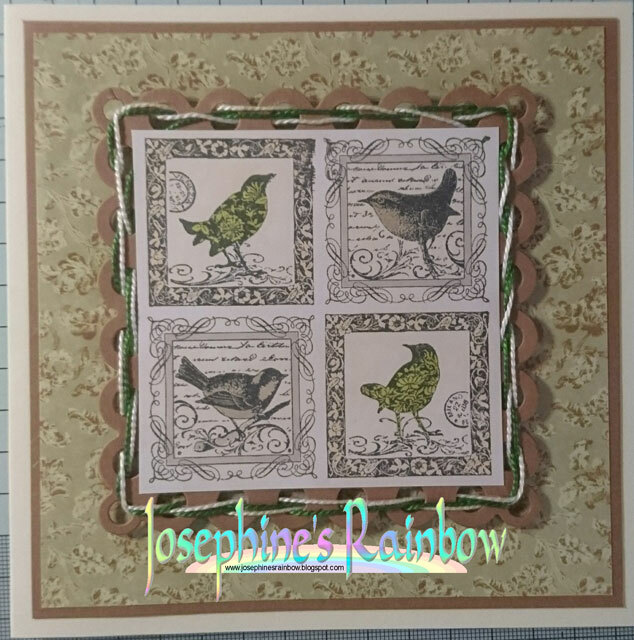 I have used alcohol inks in several colours on my background and then added a die that reminds me of my parents fence when I was growing up. 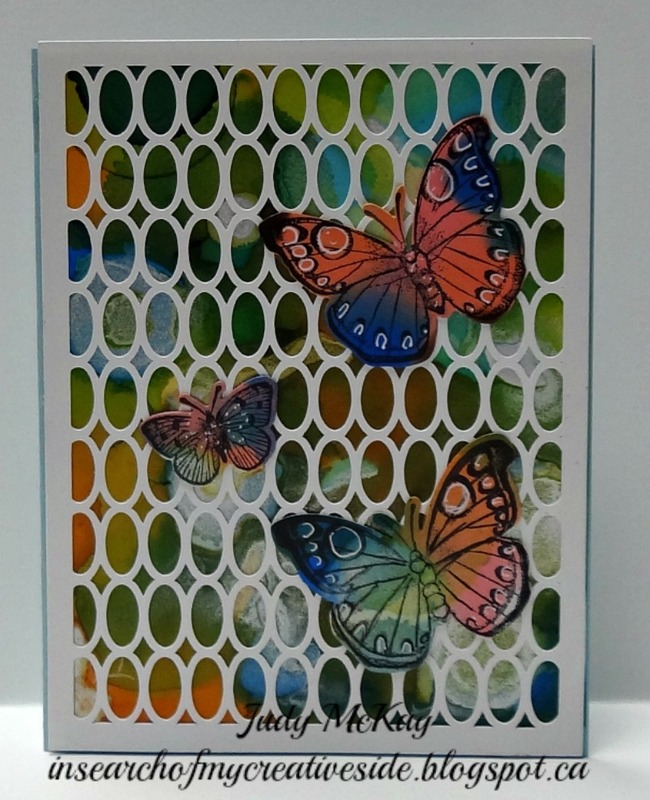 The butterflies also were coloured with Alcohol inks and a white gel pen. Summer to me means hot days, and lots of flowers in the garden. 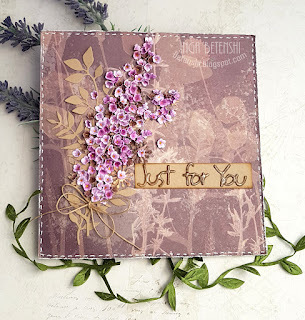 My card is made with papers from the Vintage Summer Basics range by Maja Design and I've added some pretty flowers, sisal, twine, gauze and lots of prills and micro beads. Who cannot love Summer, the best of all seasons (especially if you live in a colder climate). 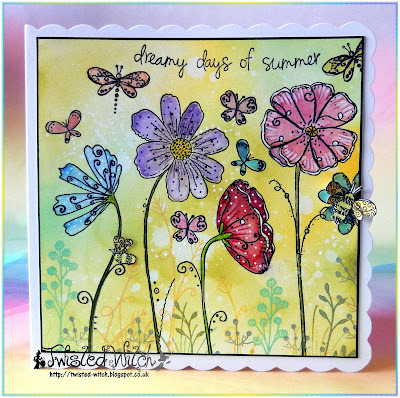 I used this wonderful image from Tiddly Inks to represent our Summer theme. I coloured her with Copics and Prismacolor Markers, added some colourful background paper and to complete the theme, a couple of flowers . My card was made for a friend who was feeling down - I used the new Hunkydory USB key to print off my images which were mat and layered onto black card to make them pop and then added to a 6 x 6 card. Summer always reminds me of hazy days in the garden which I've tried to show in this card. 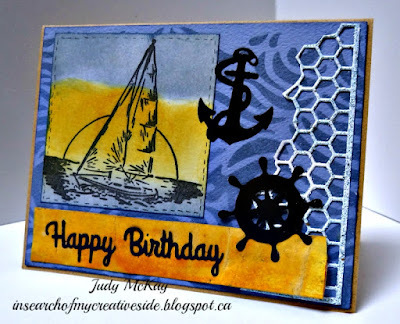 I coloured the background with Tim Holtz Oxides and then used a variety of Paper Artsy stamps for the detail. I finished it with a few blobs of Stickles Glitter glue. Summer for me are full of flowers, colors and butterflies. I love to spend time in my garden. So today I have a very romantic card for you. 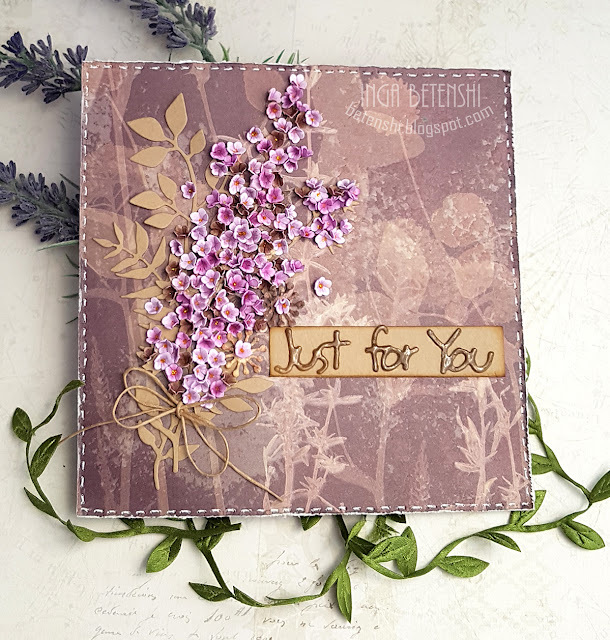 When I think of summer I always think of bright, hot colours and flowers so here is a card full of orange background papers and a fabulous old Magenta flower. 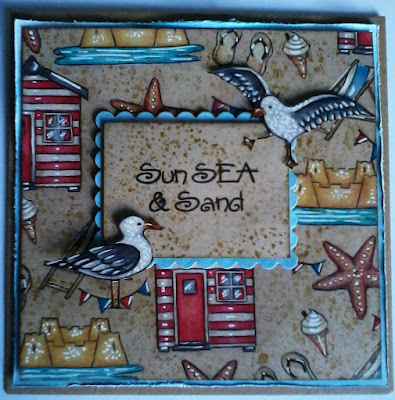 When I think of summer I think of relaxing holidays and a lovely time at a beach. 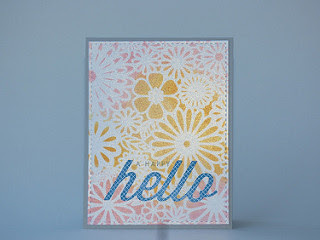 To create the center piece I used some images from the "Life is good" set by Lawn Fawn. I have great memories of playing golf on summer evenings in Ohio. I thought this adorable Lili of the Valley Image was a perfect fit for this Challenge. I made a notebook cover for a 4 x 6 paper pad. 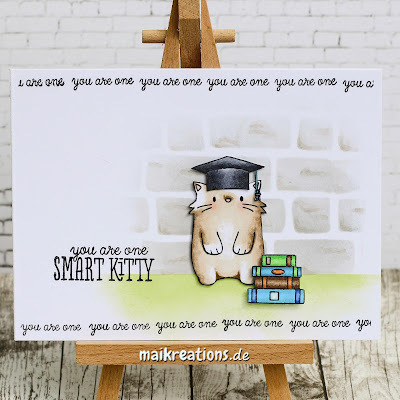 Fun and easy to make and cute too! 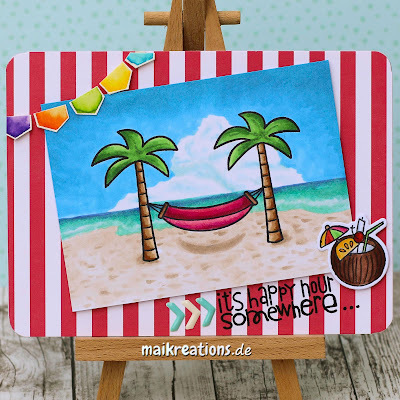 For my card I used the 'Summer Holiday' stamp set from Hobby Art along with one of their texture stamps and Polychromos Pencils to colour. 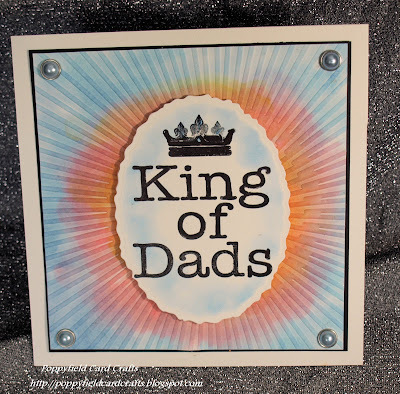 Margaret is hosting our challenge today, and the theme is For a Special Man/Boy or Father's Day. 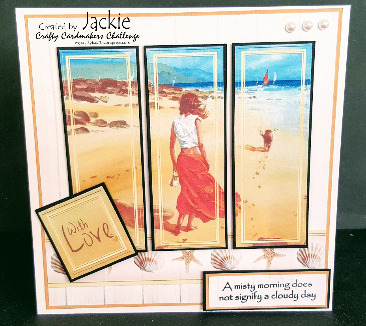 As usual anything you care to enter is fine, a card, scrap layout, mixed media piece, some home decor, as long as it follows either of our masculine themes. 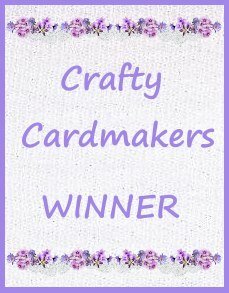 This is my first 'host' post and, although I know a lot of crafters don't enjoy making 'man' cards, I really do. I have to make quite a few during the year so that's probably a good thing .. LOL!! 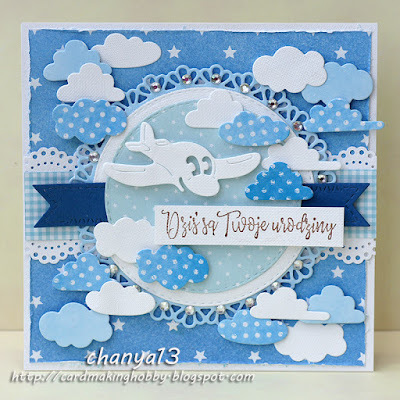 For this card I chose to use a double fold card with a tied down tag. The papers are from Kaisercraft and, in addition to the tag, I have added a flair, some washi tape and a metal trinket which was cut in half. This card was made for a very close friend's birthday. 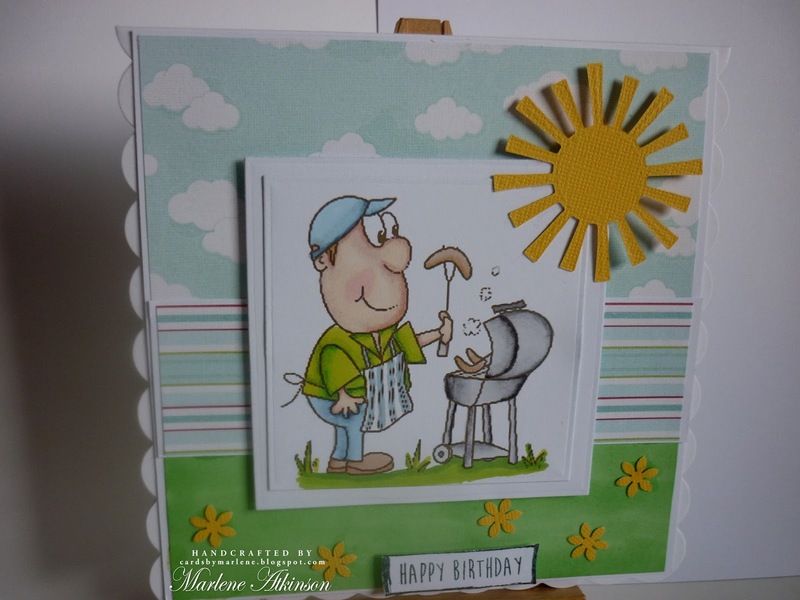 A fairly simple card for my husband's birthday. I've used a stamp from Crafty Individuals which I coloured with Promarkers. 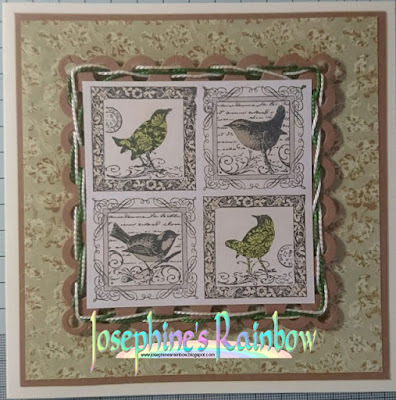 I've matted using a Spellbinder's die, threaded that with some Perle cotton and backed it with some Papermania paper from the Persimmon collection. I made this card for a very good friend of ours birthday. 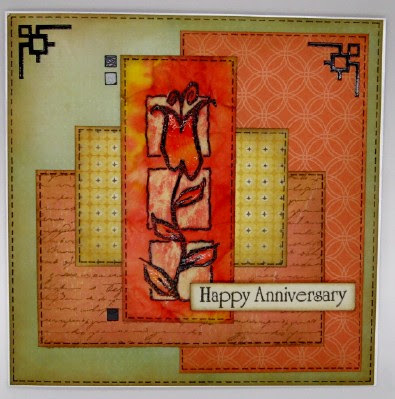 I used a stencil by Stampendous for the background along with an element and birthday die by Tim Holtz. The sailing ship is a stamp from my collection that at this moment I can not remember the makers name. 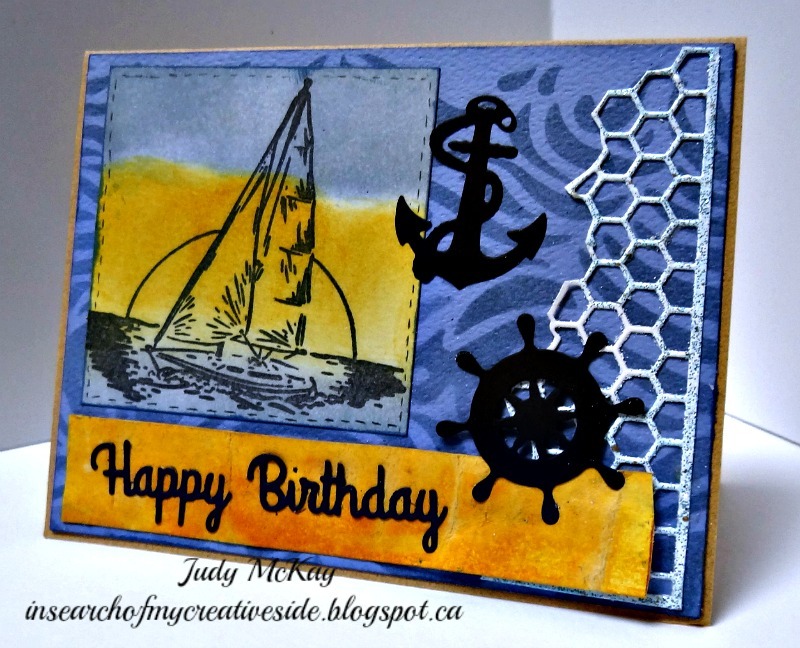 To complete the card I added a couple of ship dies. 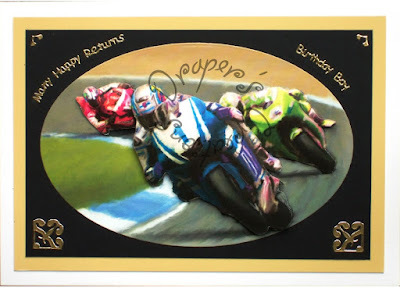 I used several sheets from Hunkydory's Little Book of Sports and Games to decoupage the image of bikers and matted and layered it into various pieces of coloured card. I embossed a piece of white card a little smaller than the 8" base card, and embossed it with a Crafter's Companion Embossing Folder. 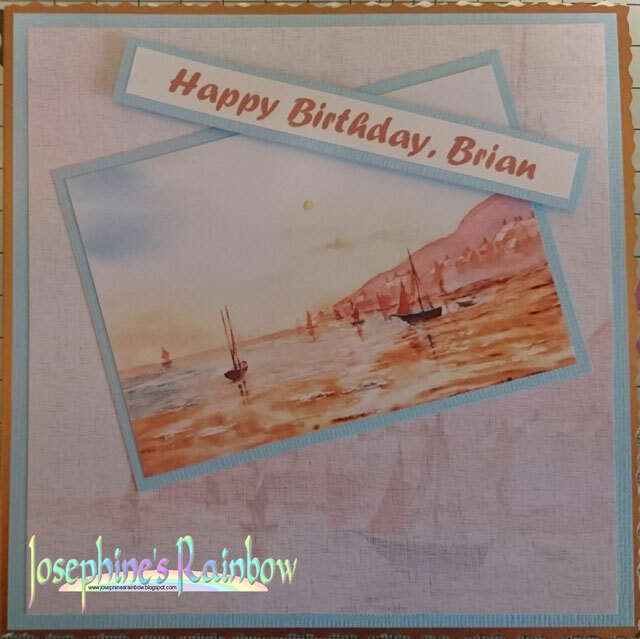 I used several Distress Inks to colour the rays of the card then matted it onto a black mat, I added 4 brads and adhered to the base card. 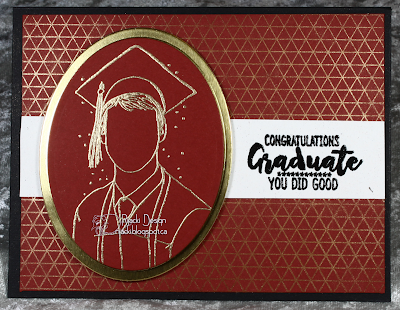 I stamped and die cut the sentiment, added mounting foam and attached it to the card. 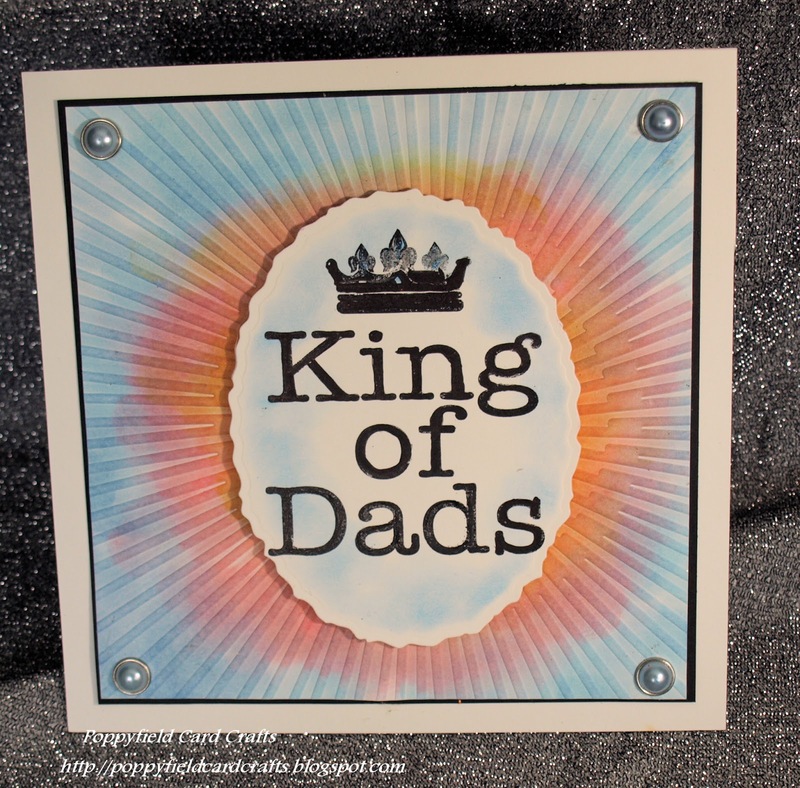 I made this card for our 9 year old grandson to give to his dad. 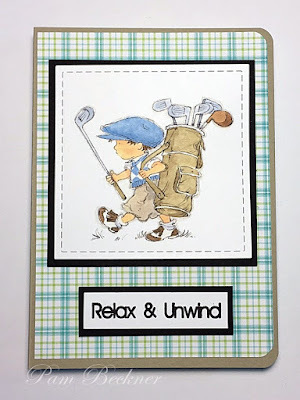 This card is for a grandson. I was trying for the masculine look so used browns, greens and a bit of burlap. 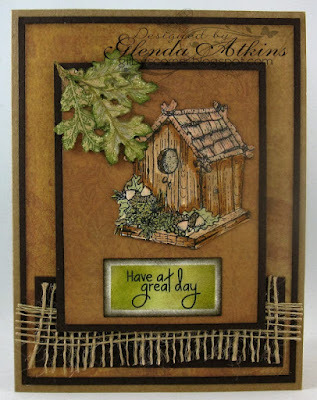 A birdhouse , a leaf and a sentiment completed the card. 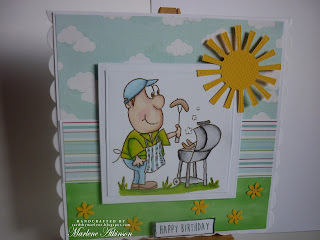 I have used an image from Digi Stamp Boutique and made a BBQ scene. 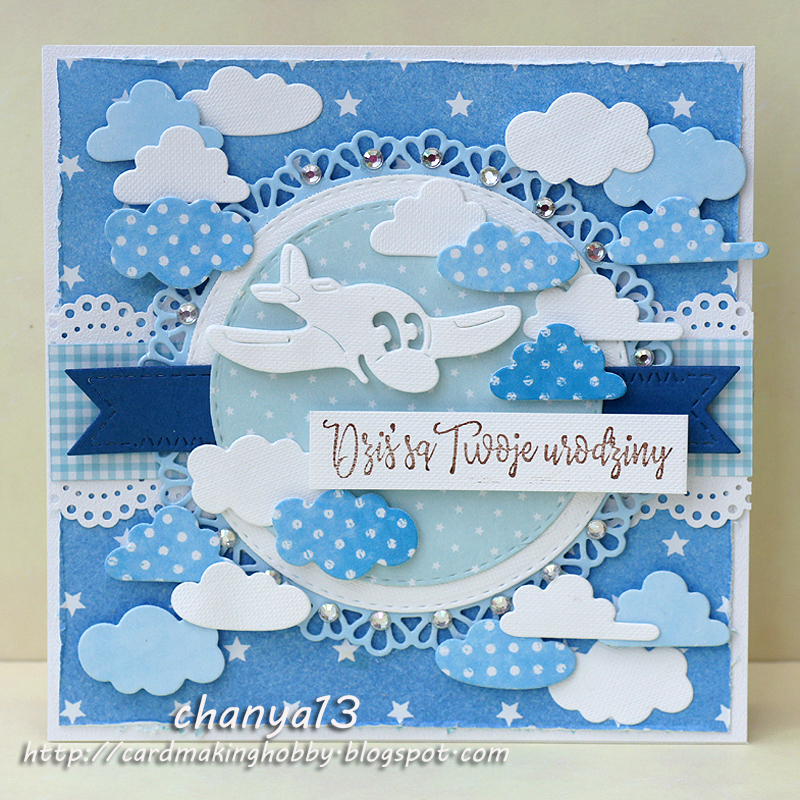 This time I made a card for a little boy, with lot of layers and clouds. Sentiment: Today is your birthday. This card will probably go to my son. 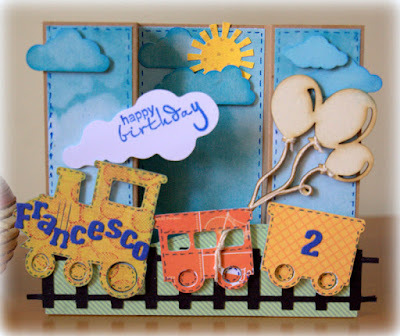 Background paper is kraft paper with gold foiling. Embellishments and sentiment from Anna Griffin's "For Him" line. I have used a few images from a Mama Elephant set and paired them with a sentiment by W Plus 9.